GlennStone Roofing and Gutters has been proudly serving the Springfield, Missouri, area since 2011 with the same phone number, location, and federal tax ID number. 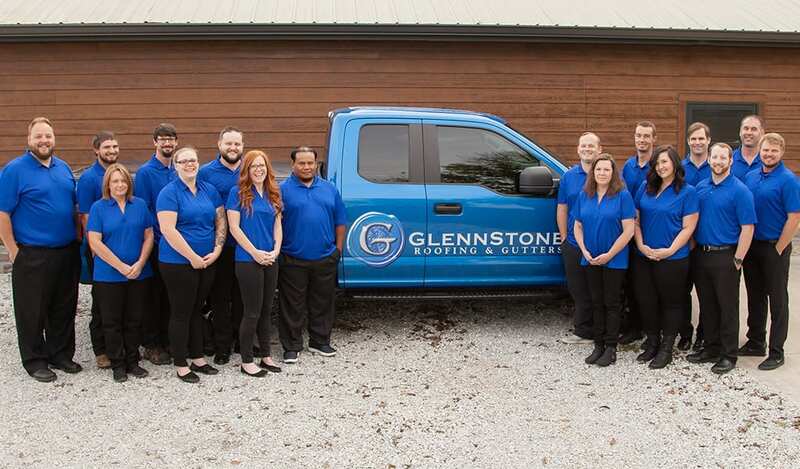 The owners of GlennStone and our employees have over a century of combined experience in the roofing and gutter business. After years of working for other roofing and gutter companies, we realized there was a better way to do business. We believe this area deserves a roofing and gutter company committed to high quality and customer satisfaction – so we built it. At GlennStone, we strive to raise the bar for the industry as a whole. At GlennStone Roofing and Gutters, we understand that building a successful relationship with our clients is just as important as building a quality roof or gutter system. Dedication to customer satisfaction has been the key to our success. GlennStone’s goal is to treat our customers with respect and provide them with superior service. Our reputation as a service provider that our customers can rely on to solve their roofing and gutter problems is important to us. Our goal is to retain every GlennStone customer for life. As a full-service roofing company, we are able to assist with new construction installation, full roof replacements, and repairs and maintenance. We also install the best seamless guttering in the Springfield, Missouri, area. Our company is fully insured with general liability insurance, workers’ compensation, vehicle insurance, and extended coverage. We are fully licensed to do work in Springfield, Missouri, and the surrounding communities, so you can rest assured that we meet all criteria to do professional work on your home. We provide our customers with manufacturer’s warranty information, workmanship warranties, and lien waivers upon job completion. At GlennStone, we pride ourselves on meeting all of our financial responsibilities to our suppliers and vendors, so you never have to worry about paying for your project twice.